Hosted VoIP is a fully flexible and feature rich office phone system that can integrate between desktop handsets, mobile phones and if necessary, across multiple sites. Fully scalable from 2 – 200 phones, there is no requirement for the traditional PBX equipment on site, the handsets connect to your existing network infrastructure. Of course, if you do not have a network in place then Landline Telecom can install one for you, or if your network needs expanding or improving to add new points for phones – no problem. The heart of the system is cloud based and because it’s hosted, there is no investment in costly hardware to control the phone system, no expensive on-going maintenance contracts and no running costs – you simply pay for what you use on a monthly basis. Hosted VoIP (Voice over Internet Protocol) uses your internet connection for phone calls. This means that you benefit from cheaper call rates and you can do away with most of your costly landlines. If you have offices on multiple sites (even if they are in different geographic locations) or employees that work from home, or are out and about on the road, you will benefit from free site to site calls just as if they were in the next room. Calls can be transferred to home workers or an extension in another town or city and the caller will not know that they are not in the same office. One simple per user monthly fee, no additional or surprise costs. 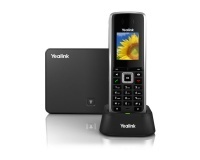 Depending on length of contract etc you can be eligible for free handsets AND a monthly inclusive call allowance. There is a full range of handsets and options to suit your business. 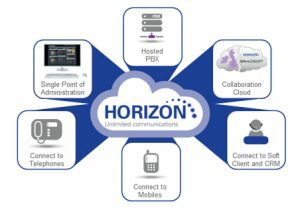 Horizon is a hosted communications service from Gamma which lets you manage your phone calls easily and effectively. Their easy-to-use online portal puts you in control of an extensive range of features for both your landline and mobiles. It’s reliable, well proven with many thousands of customers and enables you to manage your work environment communications with ease and helps your employees work more flexibly and more efficiently. Apart from setting up call routing plans, call recording, pause and resume, and many other features, the portal also provides valuable management user information through a dashboard with a wealth of information at your fingertips. Jargon-free, Horizon is easy to use for quick, personalised set-up for your business. It even includes security and fraud prevention to protect your business. You have a choice of the latest premium handsets, plus desktop and mobile apps for business-grade phone interoperability. Horizon offers a choice of handsets including Polycom and Yealink, from an entry point phone for the home worker, to the executive handset at head office. The range also includes a Polycom Soundpoint IP5000 conference unit. Unlike other solutions, an installation can combine manufacturers in any configuration to ensure the best handset is used for the customer’s requirement. All of our handsets are pre-configured before being sent to site and designed to be plug and play. The only manual intervention required will be plugging the handset into a PoE switch, the handset will then load all the firmware required and automatically connect to the Horizon platform.